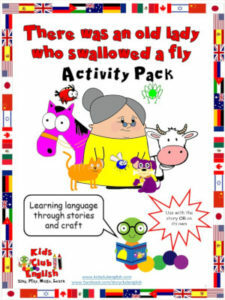 Crafts and Printables, full of fun interactive activities that create opportunities for language acquisition and learning. All come with comprehensive directions and include different templates to allow for differentiated learning. 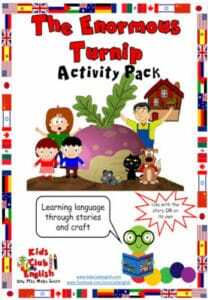 This exciting activity pack is crammed full of interactive worksheets, crafts, games and activities that focus on food, daily routines and places in a town language. Worksheets, crafts, flashcards and games to help children with colours, patterns, numbers, literacy and vocabulary development. Storytelling cards are also included for use WITHOUT THE BOOK. 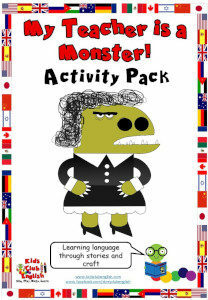 Packed with differentiated worksheets, crafts, games and flashcards. Perfect revision and practice of animals, body parts and actions vocabulary. 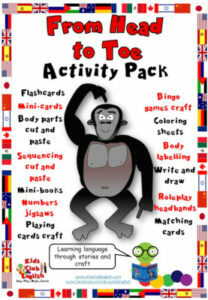 Differentiated worksheets, crafts and games to help children learn about body parts and features, practise colour and shape recognition and build on their counting, literacy and vocabulary skills. 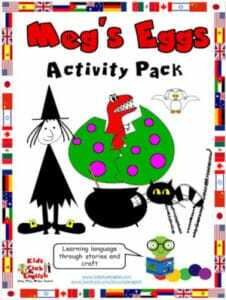 Fun, interactive activities to help children learn and revise food, clothes, animals and halloween vocabulary while developing fine motor skills, literacy skills, social skills and useful language for the classroom. 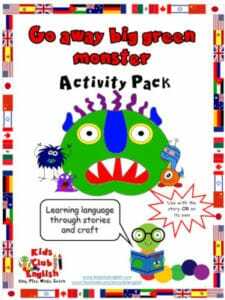 Differentiated worksheets, crafts and games to learn and revise colours, numbers, 2D shapes, food, animals, dinosaurs and halloween vocabulary. Storytelling cards are also included for use WITHOUT THE BOOK. Support learning about animals, body parts and physical appearance, whilst also building on literacy, numeracy and vocabulary skills. Storytelling cards are also included for use WITHOUT THE BOOK. Perfect for revision and practice of colours, numbers, school objects and body vocabulary while developing fine motor skills, literacy skills, social skills and useful language for the classroom. 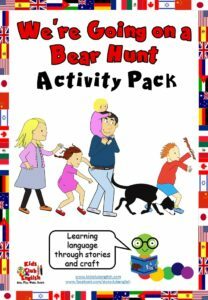 Packed full of crafts, worksheets, flashcards and games to support learning about people, animals, colours and numbers, whilst also building on literacy and vocabulary skills. Use with or without the story to support learning about animals, numbers, actions, noises, habitats and nature whilst also building on literacy and vocabulary skills. 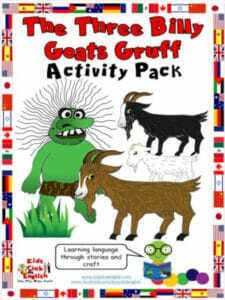 Differentiated worksheets, games and craft activities. Perfect for teaching rooms of the house, furniture and house objects, while developing fine motor skills, literacy skills, social skills and understanding of the world. 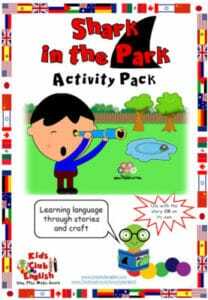 Interactive crafts and activities to support learning about people, family, animals, prepositions, colours, numbers and discovering the world around you, whilst also building on literacy and vocabulary skills. 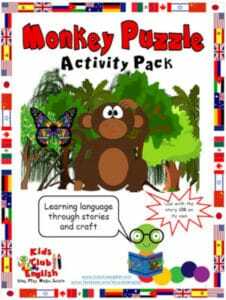 These differentiated crafts and activities support learning of topic vocabulary such as people, family, animals, feelings and seasons AND help focus on expressing purpose language. 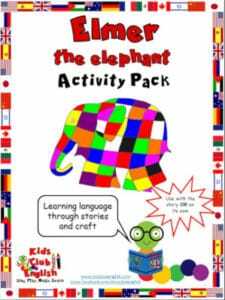 Interactive crafts and activities to support learning about people, animals, colours and numbers, whilst also building on literacy and vocabulary skills. Storytelling cards are also included for use WITHOUT THE BOOK. 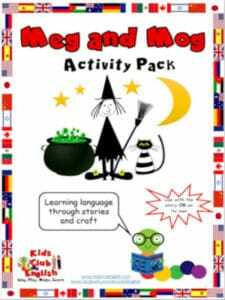 Differentiated worksheets, crafts and games to develop key story vocabulary and common phrases while developing important language and mathmatical skills. Storytelling cards are also included for use WITHOUT THE BOOK. 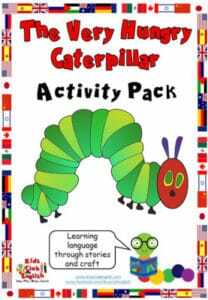 Interactive worksheets, crafts, flashcards and games. Perfect for supporting teaching of food, days of the week, the butterfly lifecycle, colours and numbers, while developing fine motor skills, literacy skills, social skills and understanding of the world. Differentiated crafts, worksheets, cards and games to learn about animals, colour and shape recognition, practise numbers, introduce sounds, letters and rhymes and build on literacy and vocabulary skills. 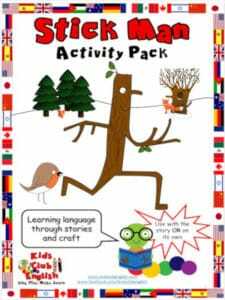 Interactive worksheets, games and craft activities to complement the Julia Lacome book. Use with or without the story to support learning about animals, actions, colours and numbers, whilst also building on literacy and vocabulary skills.